This project compiled a single database containing the results of quality control samples analyzed as part of various Geoscience BC regional geochemical survey (RGS) projects. Easy access to this important information improves the reliability of future analysis of this data. 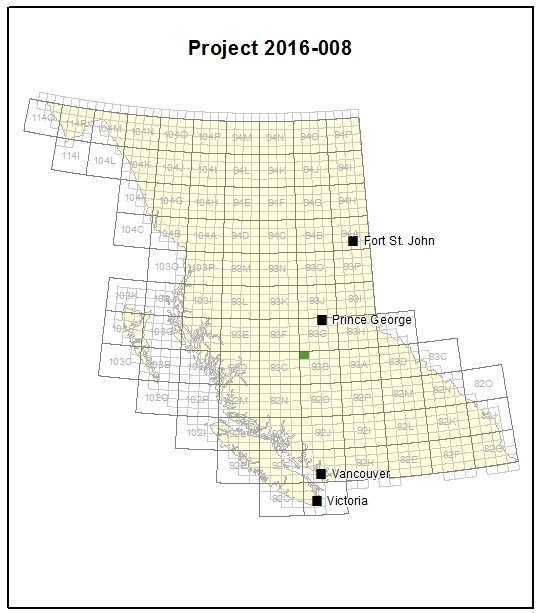 Since 2005, Geoscience BC-supported programs have collected, analyzed and reanalyzed over 58,000 regional geochemical survey (RGS) samples. This includes 50,000 stream sediment, lake sediment and till samples from archives or collected from sites across the province and an estimated 8,000 duplicates, blanks and standards that were analysed to monitor the quality and accuracy of the analysis. Quality assurance (QA) and quality control (QC) are processes used to check that laboratories avoid contamination by cleaning the equipment between analyses and produce consistent, repeatable results by adding specific extra samples during analyses. These duplicates, standards and blanks are all part of the RGS QA/QC procedure. Duplicate samples can be two samples collected at the same site or one sample thoroughly mixed and split in two. Standards are samples of known composition. In batches of several hundred or several thousand samples at a time, Geoscience BC’s RGS samples have been analyzed for up to 60 elements using different analytical techniques, including instrumental neutron activation (INAA), aqua regia inductively coupled argon plasma mass spectroscopy (AR-ICPMS) and lithium borate fusion-inductively coupled argon plasma emission/mass spectroscopy (LBICPES/MS). Critical studies of QC data generated from past RGS programs have shown that there can be subtle variations in QC sample results from different surveys, reflecting small differences in analytical methods used by different laboratories. To reliably compare or merge samples from different surveys or analytical methods, the QC of the analysis needs to be well understood. The uniform database compiled for this project brings together all the QC data from the individual Geoscience BC-supported RGS surveys and sample re-analysis programs and merges the data into a database clearly identifying the survey, sample type, analytical method and laboratory used to generate the data.